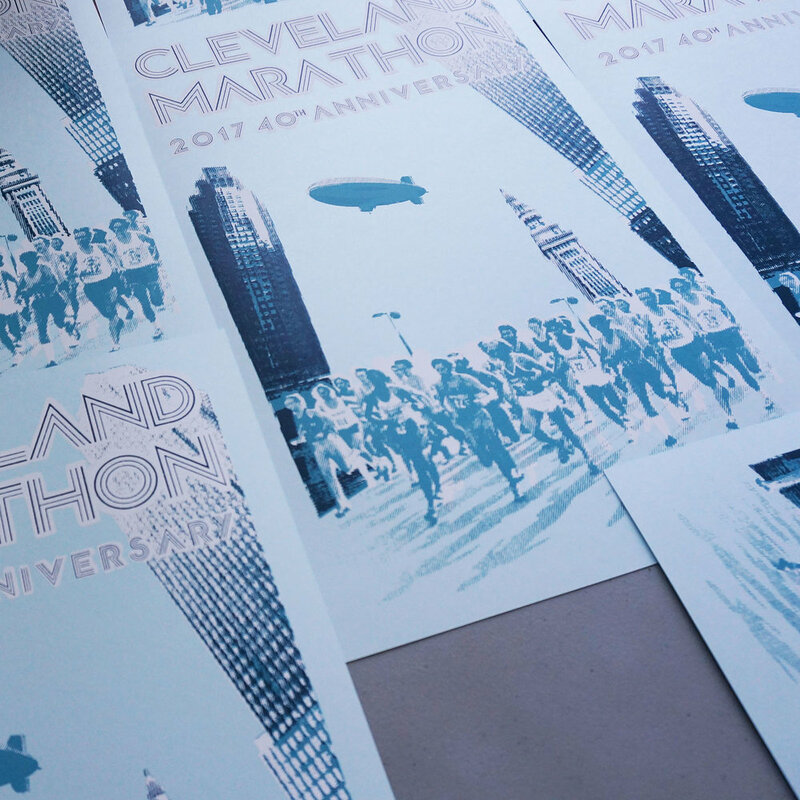 I was happy to work with the team at the Cleveland Marathon to create a limited edition run of 3-color screen prints for their 40th anniversary race. As 2017 marked the Marathon's 40th anniversary, the goal with this poster was to throw it back to the late ’70s. I used a photograph of Cleveland Marathon runners from that era, provided by the organizers – combined with one of my own more recent featuring the Terminal Tower, Key Center, and the Huntington (old BP) Building. These photos were bitmapped to give the feel of a 1970s newspaper clipping / xerox / mimeograph and coupled with a retro font. 1970s teal ink was used with Sno-Cone blue paper to mimic the Marathon’s colors. Each print was hand printed, signed and numbered.